Save thousands of dollars on Stamp Duties and Agents Fees. You get a custom designed home that will suit you for decades to come. You like your area and don’t want to move anywhere else. The cost of renovating your current home is more expensive than having a new home designed and built. There are so many things going wrong with your old home, it would be too time consuming and expensive to fix all of them properly. Moving out while your new house is built is usually still cheaper than having your old house slowly renovated. You get a brand new house of your own design in an area you love! Knock down rebuild in Melbourne has become one of the most popular home building choices. Let’s face it: some areas of Melbourne have become too expensive to buy in, even the area you’ve been living in all these years!After buying a first home, many home owners thought it would be as simple as selling up and finding a bigger, better brighter place in the same area in a few years. All of us can only buy and sell in the same market. Buying and selling actually becomes a more complicated process than knocking your place and building the home you really wanted all along. When you sell your home, you need to pay exorbitant stamp duties on buying your new home, so you’re already losing that money on your sale.You need to spend time and money to revamp your home for maximum sale price.Then, agents fees. Real Estate Agents take anything from 10%-30%, depending on their commission structure.And then there are conveyencor costs and the many small hidden costs which add up with transfer of land and title. It’s overwhelming, and in many cases, home owners are weighing up two baskets which are equally imperfect. Knock down rebuild has become a very practical solution to Home Owners dilemma: Do I stay or go? With Knock Down Rebuild, you get to design the home that is ideal for you in the years to come. An opportunity to create the home that’s perfect for you. More and more people are working from home, either full time or part time, so many home ownerswant better working from home solutions. If you are getting older, you might want to think aboutease of use – getting rid of difficult staircases and impossible to reach cupboards. A family whosechildren are leaving home might want bigger, more luxurious bathrooms and more space toentertain. Remember: buying a new home does not solve these problems, but having a new homedesigned and built can! 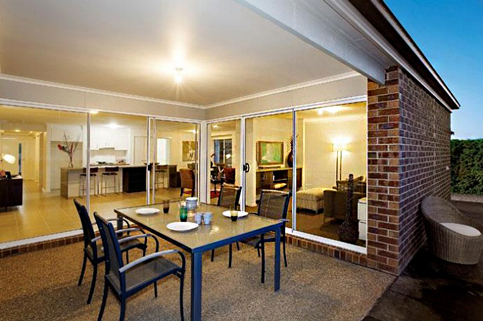 Online Homes is one of Melbourne’s leading home builders building stylish, distinctive & affordable homes.